SO close to the "real" thing, you'll never know the difference! 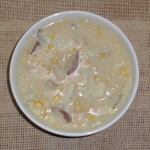 The white potatoes will start to break down, making the milk thicker, and the red potatoes will keep their shape. While simmering start to add onion powder and salt. It will “take” a lot, but don’t add too much as you can always add more later. 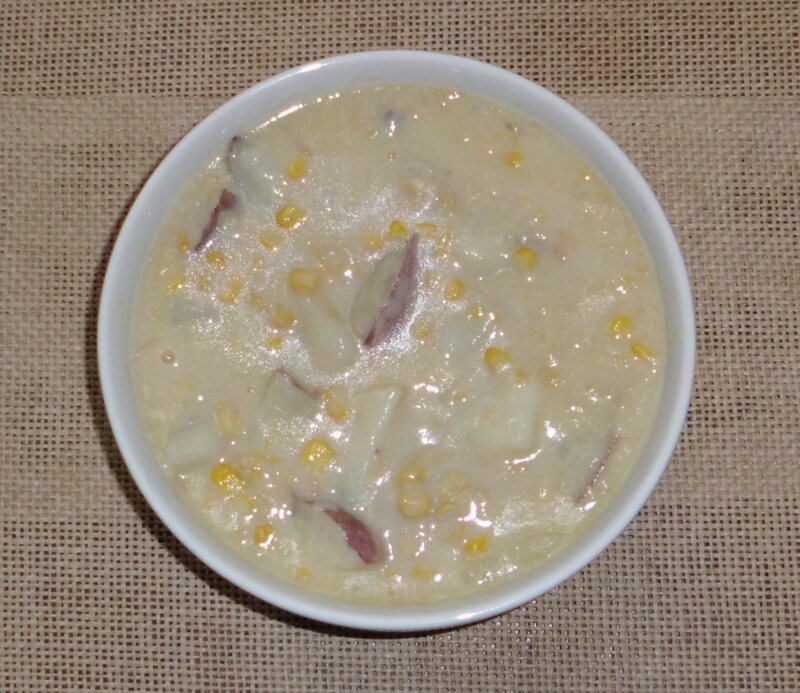 When potatoes are nearly cooked, add the canned and frozen corn and continue simmering. (Try not to let the soup boil). The "bacon" will soften in the liquid but the smoky flavor will still be there. You can always take it out of the pot before the liquid goes in, and sprinkle it on each dish later to keep the crispy element. Add additional onion powder and salt, to taste, and add a chunk of “buttery spread” to bring the flavors together. Simmer on low until it’s at a point where you really like it! It will be even better on the next day. Enjoy! Everything in my recipes is vegetarian. You may have missed that I wrote “bacon,” meaning it wasn’t real bacon. I used Morningstar “bacon,” but there are many other options. The chowder is really good. Give it a try!